With kids in the house, it’s impossible to deny the increased need for practical storage solutions. Soft toys, books, blocks, the random heads and limbs of unfortunate dolls and figurines all need a home, and finding one can be a tall order. From Danish furniture designer Morten Husum Nielsen comes a storage solution that is not only functional and fun but utterly adorable: the OAK OAK chair. 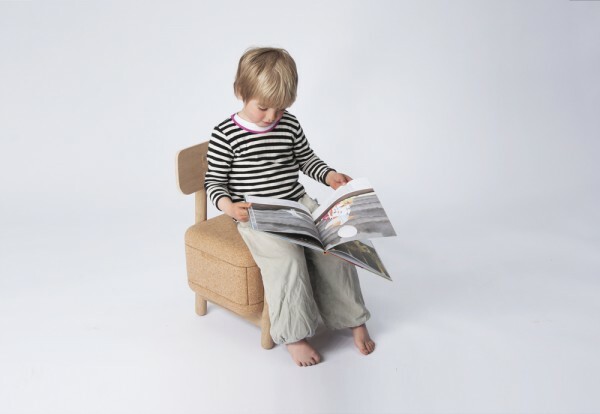 Designed specifically for children, the OAK OAK chair is a multi-functional gem: it’s a box, it’s a seat, it’s a puzzle! (Yes, you read that right!) 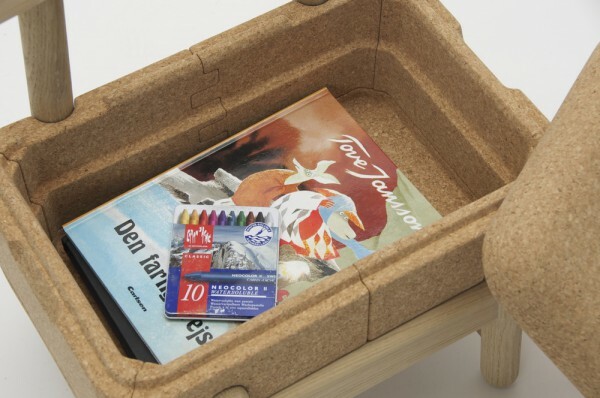 The box-shaped seat is comprised of lightweight cork panels that can be pieced together to create both a storage unit and a comfy spot for little bots – clever, huh? 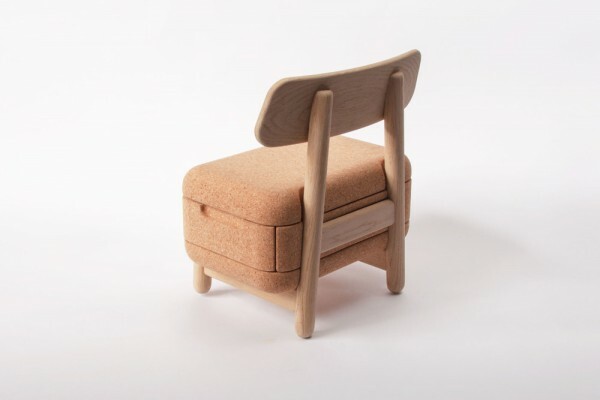 Morten brings traditional cork into the modern day with his OAK OAK chair. Its smooth surface and soft edges make it an ideal medium for children’s furniture, while its biodegradable nature is environmentally sound. In natural hues, and with an irresistibly tubby form, this little number is sure to win hearts. The OAK OAK chair from Morten Husum Nielsen is a contemporary storage saviour, and so much more. The chair will be launching soon at Crowdy House. Check out our archives for more inventive storage solutions – there’s a place for everything!